So this weekend I decided to go to H&M just to see what new things the store had and I exited the shop with only two articles. I didn't see a lot of exciting things but I didn't have a lot of money to spend inside the store which was also why I only purchased these items. 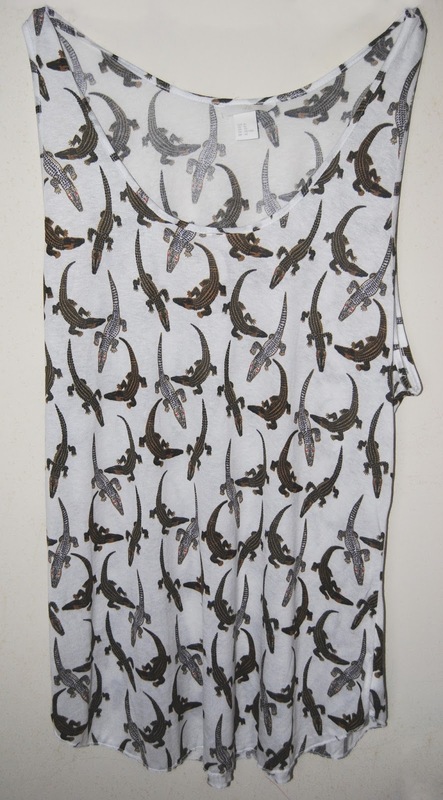 The first piece that I bought was this alligator pattern tank top which I found fantastic! I fell in love the minute I stepped inside the store! As I walked in my eyes spotted this top and I had t get it! 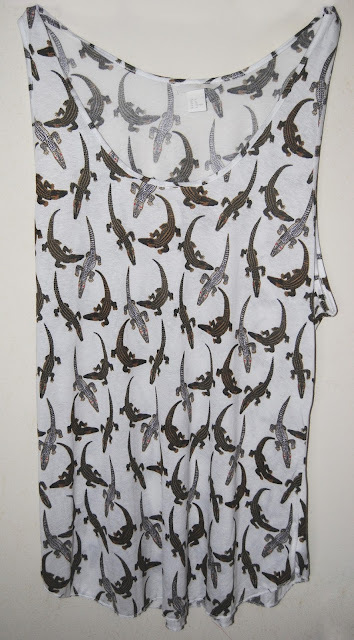 The pattern is really cool and cute and, since my brother is a huge fan of alligators and crocodiles I decided that I wanted to surprise him with this top! 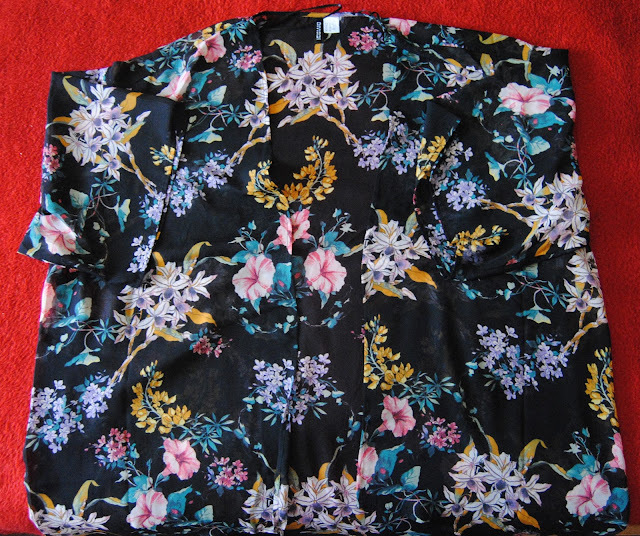 The other product I bough was this adorable and cute kimono! I never owned a kimono but always wanted one but every time I searched for them they were either ugly or to small for me. I didn't thought that I was one of those that uses floral products since it never was a thing that I admired in clothing. BUT my fashion sense is starting to change! A long time ago I exited my comfort zone and bought a pair of floral pants and I really liked them. This product is really smooth and I just love it soo much! I can't wait to wear it! 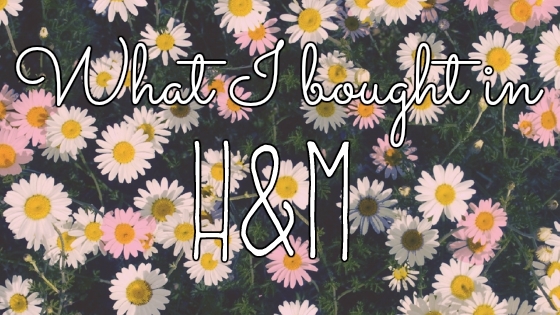 Did you like my purchases? 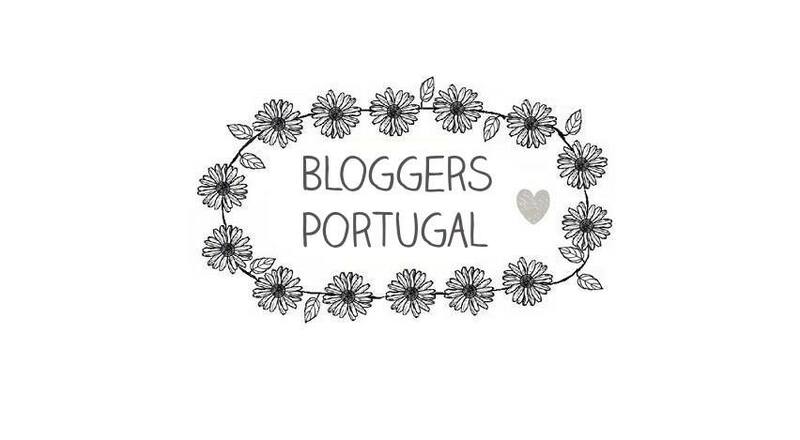 Do you have any recommendations for other products from the store? Leave them in the comments! Hi! It was the best purchase ever! Esse quimono é mesmo bonito! Adoro o padrão.